Thunderbird Artists Fine Art & Wine Festival! We are looking for volunteers to help out with entrance and wine glass sales during the three day festival. The shifts are 9:30 to 1:30pm or 1 to 5pm. We will need volunteers for March 1, 2 & 3. You may bring brochures and promotional items to support your business and will receive free entry to the event a wine glass with six tasting tickets. Please call 480-488-3381 or email jackie@carefreecavecreek.org or colleen@carefreecavecreek.org if you are interested in any of these events. Looking for meaningful ways to spend your time? 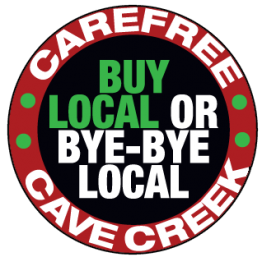 Come join your friends at the Cave Creek Museum! Opportunities abound! We always welcome your smiling face and helping hands. Volunteer positions are available in guest services and docent duties; assisting with newsletter assembly and bulk mailing; joining the Stamp Mill Dream Team; and hospitality. There are also new activities for middle and high school students in our Junior Docent Program. 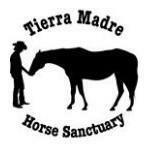 We are thrilled to offer open orientations throughout the month of December to those who’d like to join our Tierra Madre volunteer family. Open orientations include a tour of the ranch, a rundown of daily tasks and chores volunteers typically do throughout their shifts, and a brief horsemanship safety course during which you will get up close and personal with the gentlest of our herd! These orientations will be taking place every Sunday in December: the 2nd, 9th, 16th, 23rd, and 30th. Each Sunday, we’ll have an orientation at 8am and one at 10am. All ages are welcome! Those aged 17 and under must have their parent or legal guardian sign a waiver on his or her behalf. Stick around afterward to talk with our crew or hang out with a horse that spoke to you. VOLUNTEER OPPORTUNITY – Ironman 140.6 Tempe Town Lake. Desert Foothills YMCA Togetherhood volunteers will be helping with the Run Special Needs Station at Tempe Town Lake. This is a great way to volunteer as a family and connect to the Y family! 75 volunteers needed! Must be over 13 years old. WE NEED USHERS AT OUR LADY OF JOY! Men and women who are regular mass attendees and wish to participate more fully in the mass experience are invited to explore becoming an Usher. This is also a wonderful opportunity to meet other parishioners and expand your circle of friends at Our Lady of Joy. Please contact Ted Dudine at ted@dudine.com or at 480-236-6270. Members of our community volunteer for several reasons. Some volunteer because they want to make a difference and support the programs sponsored by the Carefree Kiwanis Club which supports children in the North Scottsdale / Carefree / Cave Creek area. Others volunteer looking to make new friends and create a sense of belonging. Marketplace Volunteers do not have to be Kiwanis Club Members to volunteer at the Marketplace. About a third of the 19,000 yearly volunteer hours donated are by Kiwanis Club Members. We encourage Volunteers to work at the Marketplace as often as they like. We are very flexible and accommodating to everyone! Volunteers are needed during our business hours, Tues – Sat, 9 am -4 pm. Generally, volunteers will work a 4 hour morning or afternoon shift, yet we welcome whatever amount of time you can give. Several Volunteer Appreciation Parties are held throughout the year for recognition of Volunteer efforts. Volunteers are encouraged to attend our parties and to bring a friend or family member. Most Appreciation Parties are held at the Marketplace and are a lot of fun and a great place to make another new friend! 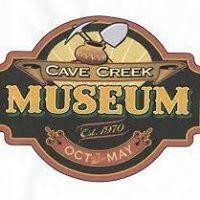 Cave Creek Museum is seeking more volunteers for the 2018-2019 season. We have opportunities for growth in Visitor Services, Collections Management, Outreach, and Hospitality! Like people? Join our docents! Like to work with your hands? We have our Dream Team and Exhibits crews! Like to bake? We need donations of snacks for our dedicated people. Join the Desert Foothills Library and make a real impact! Volunteers are needed at the Library and Chapter2Books. Shifts are generally 3 to 4 hours and available for all days of the week; volunteers will be fully trained. To apply, contact Library Manager Terri Engebretson at tengebretson@dfla.org or 480-488-2286. The food bank is looking for help in all areas. Immediate need, Nancy Keller, our Driver Coordinator, is trying to get her schedule filled out. Please let her know if you are available to assist with van driving to stores for pick-ups. Email directly to Nancy at nancykeller03@gmail.com. Foothills Caring Corps has issued an immediate call for volunteers to help in their mission to promote independence and enhance the quality of life of elderly residents in the Northeast Valley. The 501(c)3 based in Carefree, Arizona loses a significant number of volunteers when they return to their part-time homes during the summer. Foothills Caring Corps needs additional recruits to not only fill the seasonal gap but also to help with the community’s growing need for senior services.